Warriors on the Water ND | Serving our Veterans and Military through a day of enjoying the great outdoors, fishing, food, camping and having a good time. Days until Warriors on the Water 2018! 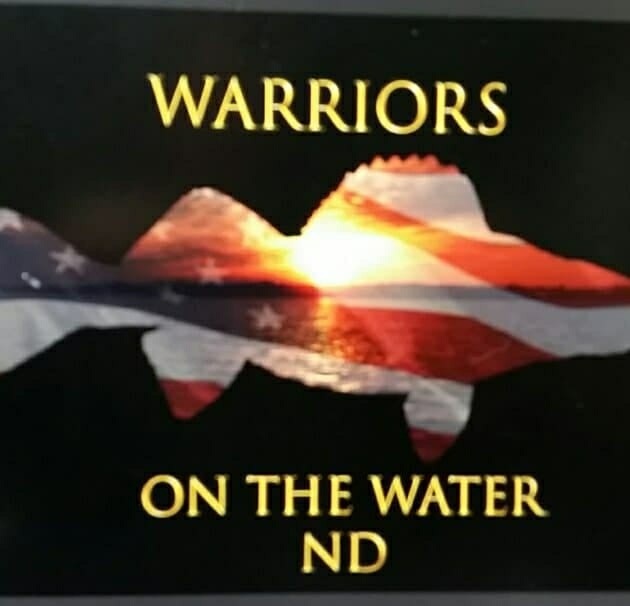 Warriors on the Water N.D. is an organization that provides our Nations veterans and active duty service men and women with an opportunity to enjoy a day of fishing provided by volunteers from all over North Dakota. Our organization started in the spring of 2014 with just the simple idea of taking a few veterans fishing for a day, and we went from 30 warriors and captains our first year to over 70 warriors and captains our second year. The participants for the event come from all over North Dakota and represent several of the branches of our armed forces. Our mission is to share our passion and hobbies with active duty and veterans that don’t have the opportunity to fish as much as we do. We have volunteers from all over the state that bring their boats to help guide the Warriors for a day on the lake.